Over the past weekend, we witnessed the Nickyanka extravaganza that took place in Umaid Bhawan Palace, Jodhpur. From their delightful mehendi ceremony to their fun-filled sangeet party, it looked like one heck of a celebration. 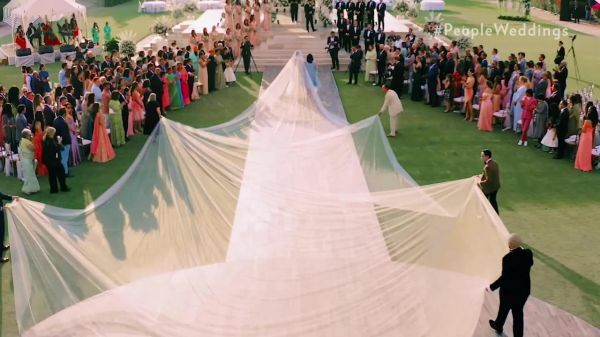 The entire Jonas clan and the Chopra fam united as they got their kids to officially tie the knot. And now that the wedding functions are over, it's time for the big picture(s). 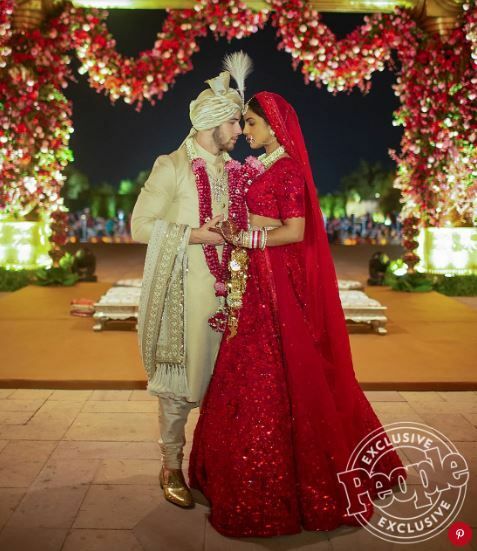 People Magazine just shared the first pictures from the Nickyanka wedding - both the white wedding and the Indian wedding - and we're completely besotted. The two look absolutely smitten by each other and simply gleeful about finally becoming husband and wife. Here have a look and brace yourself for the tears because, boy, are you going to cry. Doesn't she look like a dream in this Ralph Lauren custom-made bridal gown? In fact, both of them are wearing Ralph Lauren. Wait until you check out her train. That's one huge train. We can't even see the whole thing in this picture right now. But it's oh-so-breathtaking, isn't it? And to no one's surprise, Priyanka Chopra was also a Sabyasachi bride. If you ask us, we simply can't get over her red bridal lehenga. 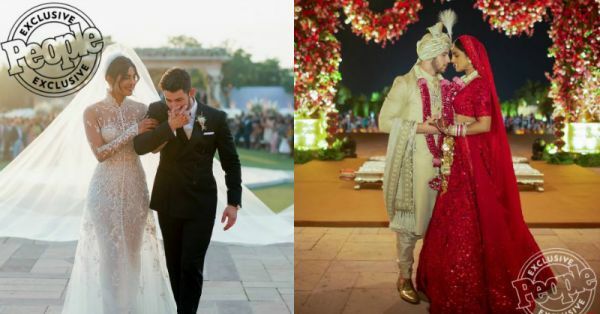 Nick too is wearing Sabyasachi, and might we add, he's looking amazing and dapper as hell in this desi avatar. We are sending all our love and heartiest congratulations to our desi girl and her pardesi babu. Hoping their smiles and laughter last a lifetime. Stay tuned for all the Nick and PC updates here.